Riverbanks Zoo and Garden is home to more than 2,000 magnificent and fascinating animals and one of the nation’s most beautiful and inspiring botanical gardens. The Zoo first opened its gates to the local community on April 25, 1974, and has continued for more than four decades to provide individuals, families and groups with a common place to connect with and learn about the world’s wildlife and wild places. Today Riverbanks is one of the largest mid-sized zoos in the United States and South Carolina’s leading destination attraction, boasting a national reputation as one of America’s best zoos and drawing one million visitors annually. In June 1995 Riverbanks Botanical Garden opened to the public. The extraordinary garden blooms year-round with more than 4,300 species of native and exotic plants and provides a living classroom for gardeners and non-gardeners alike. The formal Walled Garden offers a picture-perfect location for weddings and special events. One of Riverbanks’ newest attractions, Waterfall Junction, opened April 7, 2016. The 3-acre interactive children’s garden within the Botanical Garden inspires exploration, imagination and nature play with tree houses, a dinosaur bone dig, splash zones and plenty of room to roam. Listed on the National Register of Historic Places since 1973, Riverbanks is also the site of structural remains dating back to the early 1800s with South Carolina’s textile industry and the Civil War. Historic ruins can be seen from various locations along the footbridge linking the Zoo and Garden as well as along the naturally wooded River Trail. It is the mission of Riverbanks Zoo and Garden to create meaningful connections and inspire actions that will have a lasting impact on conservation. We are dedicated to providing the highest standards of care for our animals and plants, delivering a diverse educational and high-quality recreational experience for all Riverbanks visitors, and utilizing all available resources for the conservation of the earth's flora and fauna. With nearly 30 years of experience in the zoo and attractions industries, Thomas K. Stringfellow is only the third executive to oversee the Zoo in its 43-year-history. 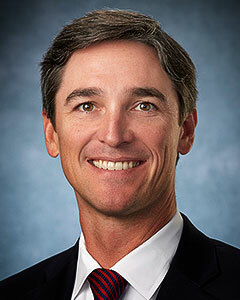 He began his career at Riverbanks in 2002 as director of marketing and was promoted to chief operating officer in 2011. Stringfellow was named president and CEO in August of 2017. 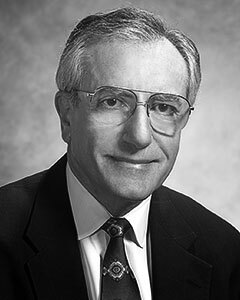 Prior to his tenure at Riverbanks, Stringfellow directed sales and marketing for various theme parks across the United States including Six Flags Over Georgia, Six Flags Whitewater Water Park and American Adventures Family Entertainment Center and Six Flags Great Escape and Water Park. For nearly two decades Stringfellow has been dedicated to ensuring Riverbanks’ continued growth, financial success and leadership in the field of conservation. During his inaugural year as president, Riverbanks was named Best South Carolina Attraction by readers of USA Today. The Zoo also welcomed nearly 1.3 million guests and celebrated numerous births including a giraffe calf, two western lowland gorillas, and five African lion cubs. 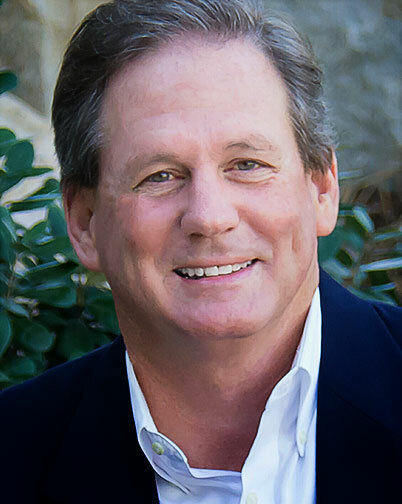 An active member of the Association of Zoos & Aquariums and the International Association of Amusement Parks and Attractions, he has served terms on the Marketing Advisory Committee for AZA and both the Columbia Metropolitan of Conventions and Visitors Bureau and Atlanta Convention and Tourism Board. He is an active member of the community and served on the Board of Directors for Palmetto Health’s Camp Kemo. Stringfellow is a native South Carolinian and is married with two sons and one daughter. Riverbanks welcomed the return of Breta Rheney as chief financial officer in April 2016. The University of South Carolina graduate is a certified public accountant (CPA) who brings more than 30 years of accounting experience to the Zoo. Rheney was most recently employed by the South Carolina Public Employee Benefit Authority (PEBA) as controller in the insurance finance area. Prior to her initial term at Riverbanks (May 2011 – October 2013), Rheney was the director of finance and controlling at Ebewe Parenta Pharmaceuticals, an internationally-owned generic pharmaceutical company. 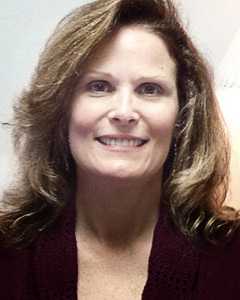 She also is the immediate past-president of the Government Finance Officers Association of South Carolina (GFOASC). Mr. Tibshrany has been an active member of the Commission since 2007. As Commission Chair, Tibshrany is responsible for guiding his fellow Commissioners in business decisions related to Riverbanks Zoo and Garden, from park improvements and maintenance to staffing and operations. A 43 year veteran of the cable television industry, Tibshrany began his career at Cosmos Cablevision Corporation where he managed cable television systems in areas of Florida, North Carolina and South Carolina. He also was District Manager for Warner Cable in Kingsport, Tennessee. Tibshrany later became founding Vice-President and General Manager of Columbia Cable TV Company, Inc. where he was responsible for the growth and development of the Greater Columbia cable television operation. Tibshrany retired from Time Warner Cable as Vice-President of Public Affairs in 2007. Tibshrany also served time in the United States Armed Forces. He completed Introductory Basic Combat Infantry Training at Camp Pendleton, California and received Honorable Discharge from the United States Naval Reserve after serving on active duty at the U.S. Naval Amphibious Base, Coronado, California, Beachmaster Unit One. In addition to serving on the Park Commission, Tibshrany is a Past President of Riverbanks Society’s Board of Directors. He also is a Past Chairman of the Salvation Army Advisory Board of Directors, Past Chairman of the Crimestoppers Board of Directors and Past Treasurer of the Midlands Interfaith Homeless Action Council Board of Directors. In addition, Tibshrany is a Past President and lifetime member of the Columbia City Ballet Board of Directors, a member of the Executive and Advisory Boards of the Indian Waters Council — Boy Scouts of America, a member of the Columbia Arts Festival Executive Committee and Board of Directors, and a Distinguished Past President and a member of the Columbia Kiwanis Club. Learn more about Riverbanks Park Commission. Andy Folsom is a graduate of Washington and Lee University and the University of South Carolina School of Law. He works at BlueCross BlueShield of South Carolina (BCBSSC) as VP, M&A, Tax and Strategic Investments, and also serves as President of Companion Capital Management, Inc., a wholly owned subsidiary of BCBSSC. Prior to this role, Folsom worked in the Law Department at BCBSSC as AVP and Deputy General Counsel. Before joining BCBSSC, he worked as a corporate attorney for Alston & Bird LLP in Atlanta. Folsom participates in numerous community and civic activities. Currently, he is the Chairman of the Board of the United Way of the Midlands. He is also a Board Member and past-President of Salute from the Shore, a non-profit organization that pays tribute to the men and women of the military, and he serves as a Board member of the Columbia Chamber of Commerce and Sisters of Charity Foundation of South Carolina. Folsom is very involved with his alma mater, serving as the Co-Chair of the Alumni Admissions Program for the Midlands area and as Vice President of the Columbia Chapter of the W&L Alumni Association. Learn more about Riverbanks Society.